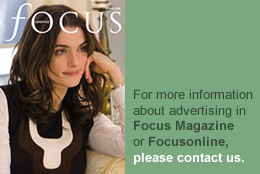 Article from FOCUS Magazine – Winter 12 issue. 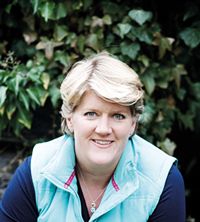 Clare Balding will be among a host of famous faces at this year’s Rainbow Trust Carol Concert. The highly respected broadcaster, who has won a legion of fans for the breadth of her sporting knowledge and warm, natural presenting style, will be hosting the festive concert, in aid of the charity which supports families of children with a life threatening or terminal illness. She will be joined by TV heartthrob Rupert Penry-Jones, presenter and producer Andi Peters, comedy actress Sarah Alexander and Royal Shakespeare Company favourite Robert Portal, who are all set to perform readings at the star studded event. 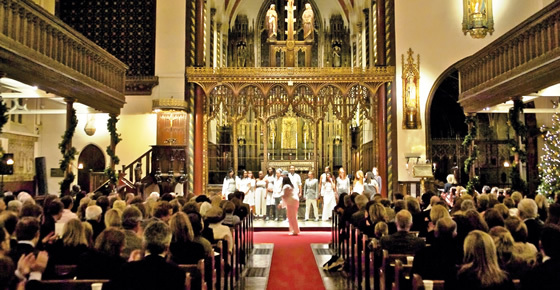 Set against the backdrop of one of London’s most stunning Victorian Churches, St Paul’s Church in Knightsbridge, the evening will feature an array of classic carols and Christmas songs, with the support of the Cheam School Choir. Six year-old Rowan Todd, whose family have been supported by Rainbow Trust since Rowan was diagnosed with a brain tumour in 2009, will also be singing a touching rendition of Away in a Manger with her sister Petra and father on piano. Taking place on Thursday 6th December guests are invited to mingle with the TV stars, soak up the festive atmosphere and enjoy a glass of mulled wine and a mince pie prior to the event. Rainbow Trust carers currently help around 1,300 families every year as they try to cope with the harsh realities of caring for a child with a life threatening or terminal illness. Many of these families describe Christmas as one of the toughest times of the year. Rainbow Trust Children’s Charity provides expert social palliative care to families when their child has a life threatening or terminal illness. Offering emotional and practical support, assistance is available for families 24 hours a day. Individually tailored high quality care is offered from diagnosis through to treatment and, should a family become bereaved, the charity will continue to support them for as long as they are needed, helping family members cope with the present and prepare for the future. Rainbow Trust relies almost entirely on voluntary donations and through the outstanding generosity of its supporters is able to help more than 1,300 families a year throughout England. However, this is just 12% of the families that could benefit from its help.The charity’s vision is that one day all terminally ill children and their families will have access to a Rainbow Trust carer. During the last 25 years the children’s charity has attracted a raft of celebrity support, with highlights last year including Alan Titchmarsh hosting a special 25th Anniversary fundraising event to commemorate Rainbow Trust’s landmark year; the cast from Downton Abbey attending Rainbow Trust’s Jubilee Ball along with creator Julian Fellowes; and Hollywood actress Brigitte Nielsen stepping out to support the charity’s ‘Trust in Fashion’ event. The charity has gained considerable respect among the healthcare/medical profession for its expertise in social palliative care and in 1993 the Department of Health (DoH) actually used Rainbow Trust’s methods as a template for social palliative care services. The charity was also invited to contribute to the DoH independent review of palliative care services for children and young people in England in 2007. Rainbow Trust has been named one of the 100 Best Not-For-Profit organisations to work for in the UK, achieving 52nd position in the esteemed Sunday Times’ Top 100 Organisations to Work for 2012. Rainbow Trust also received the award for Best Fundraising Organisation to Work For at the Institute of Fundraising National Awards 2012.